I don’t know how to private message. wontwatchpornanymore, Sprinkles, M.S.H. and 4 others like this. Yeah. Ghostwriter has a certain old school charm to him. Most people don’t like it...but it’s usually what they need to hear. deannab106, Livispacerocket88, Sprinkles and 5 others like this. Aw, I agree. :+) Ghost is a gem for the forum isn't he? Deleted Account and Tiger uppercut! like this. Me too, I thank you. You told me the truths about myself no one wanted to tell me and you gave me, as the person who congratulated you pointed out, concrete tools and acurate advice. Your contribution here is priceless. You are a lighthouse in the PMO sea. Thanks. What happened to your account dawg? Thanks for asking...I'm compiling one last message, then I'm outta here! I will leave my account open, and if someone wants to contact me, they can PM me. Don't go buddy! You will be greatly missed. You've always been an inspiration to others on here, and I enjoy reading your posts. But if you do, wish you all the best. Hey Ghostie - any news on the break in? Are you doing OK? Best wishes. Nothing from the Sherrif’s office. Cleanup resumes. Ambrose Grant and Deleted Account like this. Thank you so much for the advice and explaining to me things I would never even begin to grasp otherwise. I am so grateful and will listen to your wise words. I hope you enjoy the holiday weekend! Endless thanks. M.S.H., LEPAGE, Naija and 1 other person like this. @Ceridwen, I'm glad you are here. I will be there to support you any way that I can. Stay strong, and "WE" can do this. SomeRandomNatty, M.S.H. and (deleted member) like this. I don't know what it was that I did to support you @Ceridwen, but you are certainly welcome. Thank you. M.S.H., (deleted member) and (deleted member) like this. You were kind and supportive on my first thread. I deleted it because I felt like I needed to explain my story better and some of the comments were kind of invalidating. But I'm going to write up my story with more detail and start a new journal. Deleted Account and M.S.H. like this. Kudos on the awesome avatar choice! Thor god of thunder and Kenzi like this. @Kenzi, now you've peaked my curiosity. I'm not familiar with it. Deleted Account and Kenzi like this. You like? I grabbed that off of the video you shared! I changed it to black & white. I like it better. What you think? Are you going to use a picture of the GhostWriter from the 90s show as your avatar? Cuz that would be cool. Just saying. Deleted Account, Thor god of thunder and Deleted Account like this. So are you an actual ghostwriter or is it just your screenname? Lively gr of yesterday, (deleted member) and (deleted member) like this. LOL, I didn't even know that was a thing. Honestly, I used it years ago for Blogging purposes, and it was a spin on "GHOSTRIDER" as in "Ghostrider, the pattern is full" from the Movie "Top Gun" I liked the way it sounded when replacing "RIDER" with "WRITER", hence the UserName, "GhostWriter". Deleted Account and Deleted Account like this. So I guess to answer your question, it is nothing more than a screen name. But thanks! Now I'll forever be looking at it a little differently. Moon Shot and Deleted Account like this. 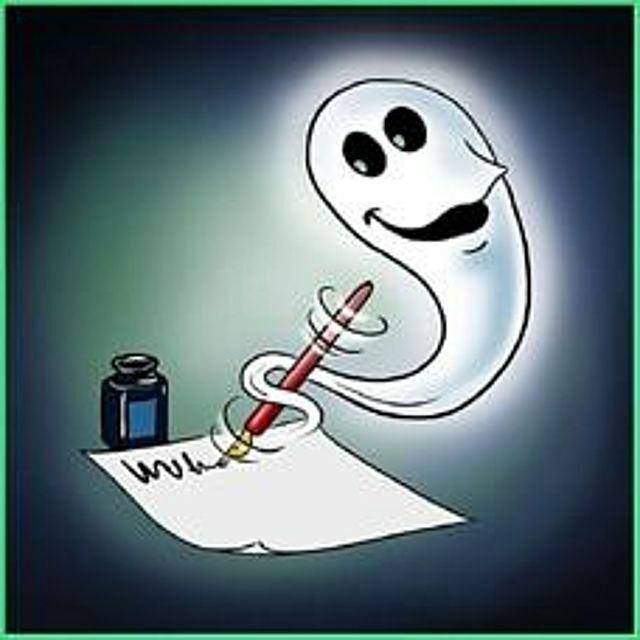 Hey Ghostie, just dropping by to wish you a very pleasant weekend. Thanks for all your hard work here! Hope you get a chance to do something fun. Very best wishes! Square79 and Deleted Account like this. I've learned a lot from your postings. Thanks for sharing your experiences. I hope things will get better for you in the near future. kropo82, Lucid Kazekuro, Deleted Account and 1 other person like this. Me too. It would be great to see your journey unfold. @GhostWriter are you planning to keep a journal here? “The biggest mistake forum owners make when taking on forum moderators is expecting them to police the community. Many see the main role of moderators as enforcers of the site rules, as people who delete posts they don’t like and lock topics the moment they run off-course. If these are the priorities of your moderators, you are doing it all wrong.